I have a scenario where an admin assistant who enters appointments for our reps and is located in a time zone of UTC + 10 Brisbane and the reps are in the time zone of UTC + 10 Sydney. Because of daylight savings there is a 1 hour difference between these 2 locations at certain parts of the year. Now I have 1 rep who has no problem and the appointments and time zones sync perfectly and show correctly in Outlook. But I have another rep who's appointments show up in outlook 1 hour out. 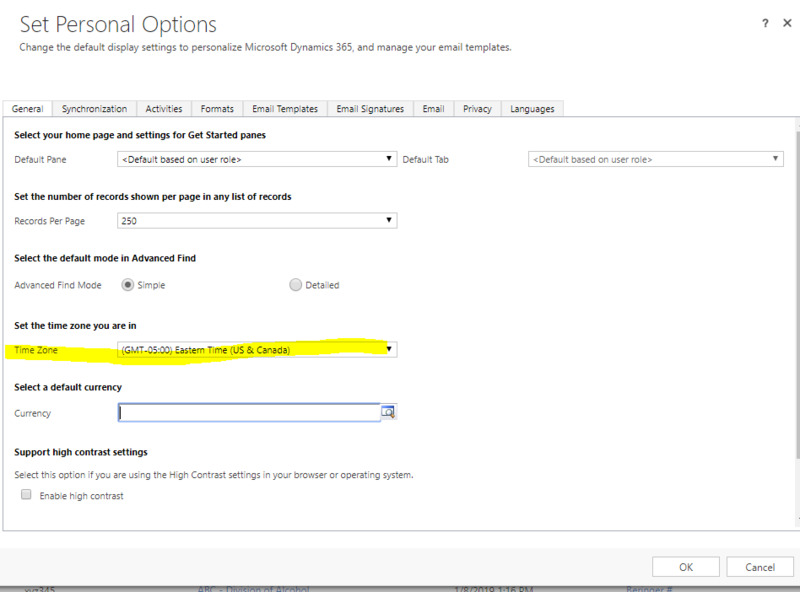 I've checked the 4 settings of Outlook start day of the week, Outlook time zone, Windows time zone and CRM time zone. 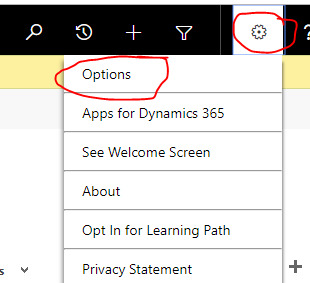 All the 4 settings are the same between both reps. I'm hoping someone who's experienced this might be able to shed a bit of light on the situation for me. Have you checked the individual User Settings in CRM? Yes this is one of the 4 settings that I've verified are the same as the other user who is not experiencing any issues. It's an odd one. It might sound like an odd suggestion, but have you had the users re-set their personal preferences for their time zone? I've had a similar scenario to yours before, where the timezone info displayed at the UI level all looked correct, but checking at the SQL table level (On-Prem Customer) showed the incorrect value stored in CRM. I simply had the user reset their preferences and fixed the issue pretty quickly. You can also use the User Settings Utility in the XrmToolBox as well to do some querying around on the stored values for end users. It looks like it was an issue with Exchange. Once our Exchange admin reset the user's profile everything now appears to be ok. It's interesting that none of the settings looked incorrect from a front facing perspective.